Hold onto child's things when left out. 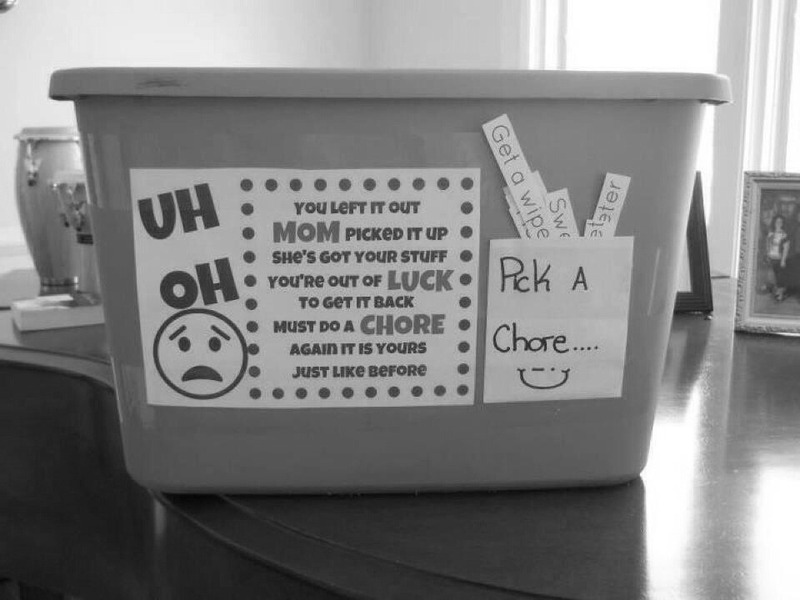 In order for them to get their toy back after not putting away, make them pick a chore. Once the chore is completed they receive their item back. Both mom and child are happy!